Since the 1960’s, dog training methods have undergone significant changes. 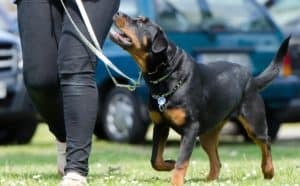 Where most dog trainers and owners in the past believed that dogs should work out of fear of punishment, many now enjoy having a dog that works in cooperation with the owner because it is rewarding to do so. Understanding the difference between the various dog training methods is important when choosing a trainer, behavior consultant or even when choosing how to address problems at home. 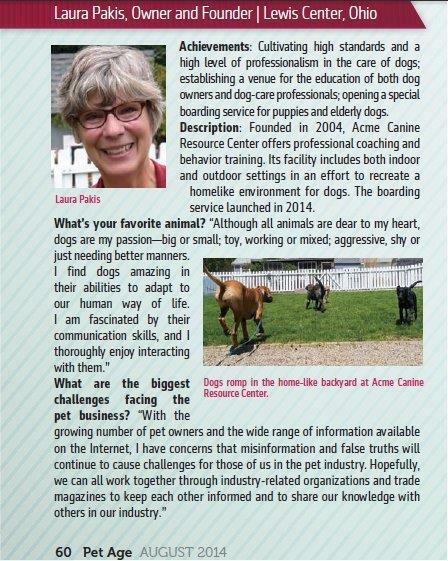 At Acme Canine we believe that each dog is an individual and should be trained as such. Dogs only fail when communication has not been established and so by using a combination of behavior modification, obedience and canine coaching when training a dog a strong positive relationship is developed and the dog responds reliably to what is asked of it. The Association of Pet Dog Trainers (APDT), a professional organization of individual trainers, defines dog-friendly training as “training that utilizes primarily positive reinforcement; secondarily negative punishment, and only occasionally, rarely, and/or as a last resort includes positive punishment and/or negative reinforcement. So most dog training methods fall under this. In essence, positive dog training means using methods that will improve your relationship with your dog. 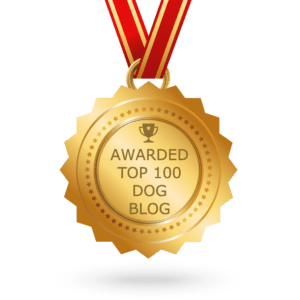 Positive dog training means thinking in terms of rewards to mold your dog’s behavior. It may also mean using devices that can help dogs learn without the use of punishment, physical pain, or fear. Positive dog training formulas are based on two concepts. The first concept is the idea that if two things tend to occur at the same time, we begin to expect one when we see the other. This is called associative learning, and the most famous example is Pavlov’s dogs. In a research experiment conducted by Ivan Pavlov, dogs became conditioned to salivate at the sound of a metronome, because they associated the sound of the metronome with the appearance of meat powder. The other concept behind positive dog training is the use of consequences to modify behavior. This is known as operant conditioning. By rewarding desired behavior and ignoring unwanted behavior, we can increase desired behavior and practically eliminate unwanted behavior. The strength of positive dog training methods seems to come from its ability to separate learning the behavior from learning the command. In a nutshell, positive dog training associates a stimulus (like a sound) with a desired behavior (like sitting). Once the desired behavior is identified and can be repeated, then the command (like “sit”) can be added. First your dog learns what you want him to do, then he learns the command for doing it. 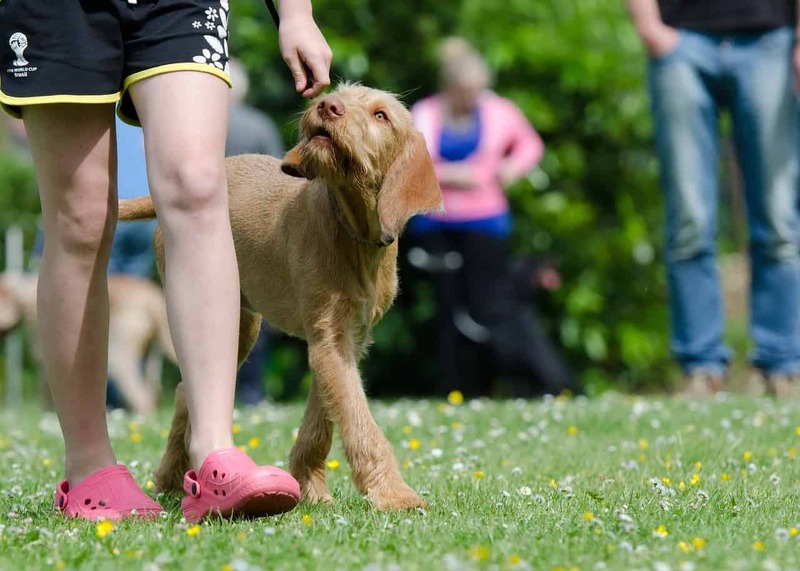 Clicker dog training is an alternative method of teaching your dog by using positive reinforcement. It is an animal training method based on behavioral psychology that relies on marking desirable behavior and rewarding it. You don’t want to become dependent on your clicker or on your treats, however. The time may come when you need your dog to “Sit” or “Stay” but you lack both of these tools. If your dog has not been weaned from them, he may not respond to your command. 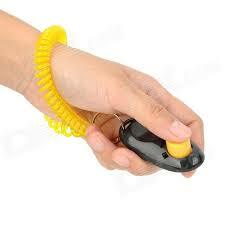 The idea is that using the clicker should help your dog learn something new. Once that action has been learned, it should be continued for other rewards. For example, the dog may need to “Sit” in order to be petted by guests or before eating his food. While many trainers swear by the clicker, there are some disadvantages to consider. 1. Possible confusion – If you are training with other people who also use clickers, the dog may not recognize his “click” from someone else’s. 2. Low noise – The click is not meant to be very loud. One complaint is that it may not be loud enough to work with dogs in some environments or when dogs may be further from you. Balanced training basically means teaching a behavior using whatever positive reinforcement tools are available (capture, lure, model, shaping). Then, once a dog has a clear understanding of the correct response for a cue, introduces corrections and escape/avoidance. The balance lies between positive reinforcement and correction. Balance training continues on past the point where positive reinforcement trainers stop. The idea is making the dog accountable and responsible, with increased reliability. The dog learns consequences of choices, and a solid work ethic. It is not about making a dog do something they hate, but making a dog take the work seriously. When a person’s life can hang in the balance; they cannot truly afford to have a dog who thinks it is perfectly okay to make a choice not to work. Dogs are not robots or machines obviously. They are fallible just as humans are. Still we have a greater compliance if the dog is working for work’s sake instead of for an anticipation of reward. 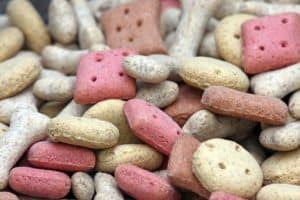 So here is a question to ponder; if each dog is unique in personality and temperament, then how can using only one training method be successful with all dogs? In our opinion it can’t. Rather by using a combination of training methods based on each individual dog then consistent success and the desired results achieved. This entry was posted in Training Tools and Techniques and tagged balanced training, clicker training, positive training. Bookmark the permalink.